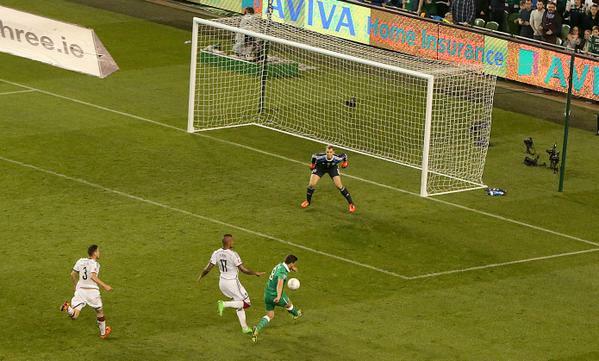 Republic of Ireland beat World Champions Germany in crucial Euro 2016 qualifier to keep their qualifying hopes alive. Shane Long scored the only goal of the match in the 69th minute, Republic of Ireland will now need to win their last game on Sunday to qualify. Germany on the other hand just need to win to qualify for the Euro tournament.